Due to system expansion without proper and adequate planning and financial provision for the works in time, a large number of distribution systems have run into problems such as poor voltage regulation, poor power factor, high losses and poor efficiency, overloading and less reliability for continuity of supply. Low power factor of the consumer installations. Long and overloaded L.T lines. Distribution transformers’ centers located away from the load centers. Long and overloaded 11kV and subtransmission lines. Poor voltage regulation on 11 kV and L.T lines, voltage drops being extended beyond permissible. Under loading of distribution transformers. 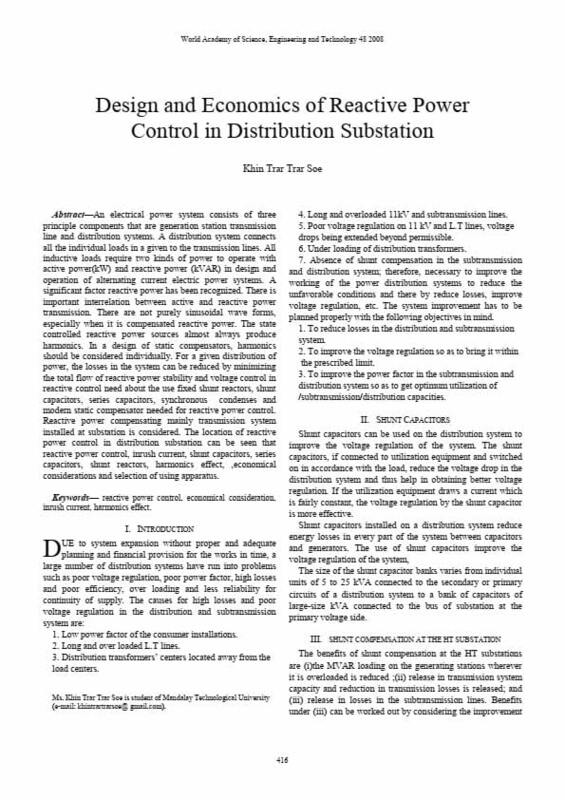 Absence of shunt compensation in the subtransmission and distribution system. 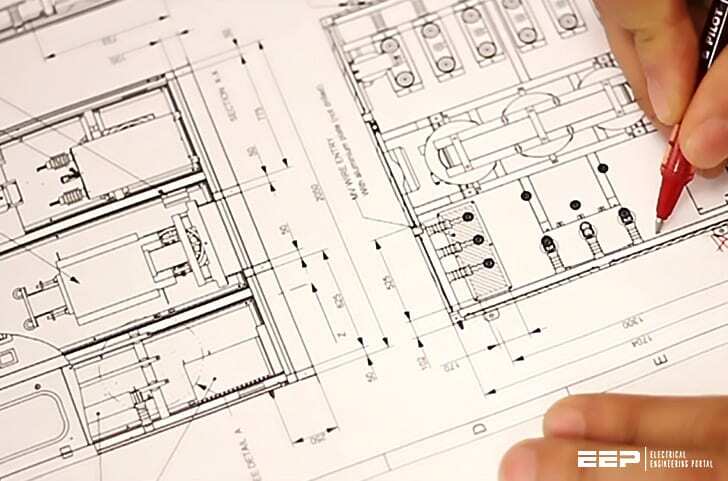 Therefore, necessary to improve the working of the power distribution systems to reduce the unfavorable conditions and there by reduce losses, improve voltage regulation, etc. The system improvement has to be planned properly with the following objectives in mind. To reduce losses in the distribution and subtransmission system. To improve the voltage regulation so as to bring it within the prescribed limit. To improve the power factor in the subtransmission and distribution system so as to get optimum utilization of subtransmission and distribution capacities. The degree of compensation being decided by an economic point of view between the capitalized cost of compensator and the capitalized cost of reactive power from supply system over a period of time. In practice a compensator such as a bank of capacitors (or inductors) can be divided into parallel sections, each switched separately, so that discrete changes in the compensating reactive power may be made, according to the requirements of the load. Improves voltage regulation if the capacitor units are properly switched. Reduces I2R power loss in the system because of reduction in current. Reduces I2X kVAR loss in the system because of reduction in current. Increases power factor of the source generator.